The interview started in what I would call the strangest of possible ways. I guess I’ll just file it under, “Sometimes There Are Roads You Are Just Meant To Follow”. 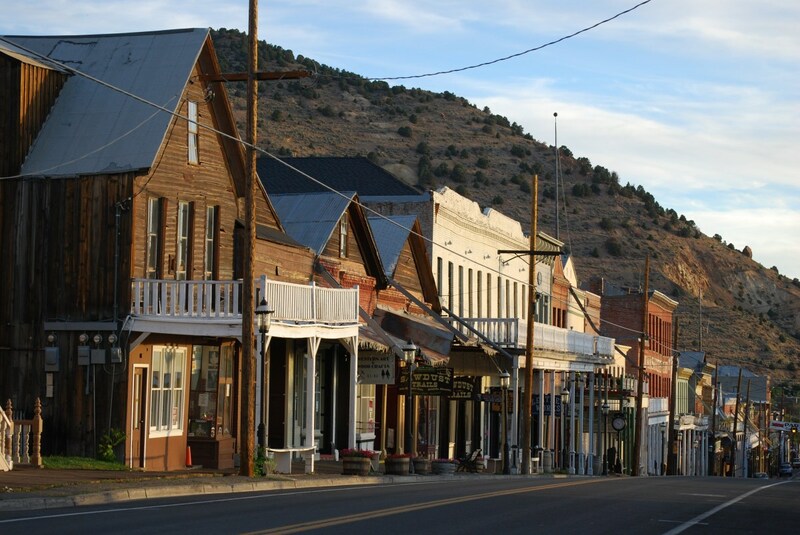 My name is Jack Casey and I write for a small paper based in Grand Junction, Utah. Just the other day I was driving and I ran into car trouble. The dreaded flat tire… I think most of us have at least one of those stories. I wrestled to get the tire off using the inadequate tools that come standard in the trunk of every compact car. Vehicle after vehicle raced by as I toiled away. They peppered me with sand which stuck to the sweat on my brow and face. When the tire finally came free I pulled the spare from the trunk only to find that it was already flat. I crouched down next to the road wondering if my next move should be to kick something or to stand up and scream. Crouched down with my eyes closed I suddenly felt a change in the temperature as I was shaded from the afternoon sun… Then I heard a voice from behind me which said, “Need a hand there, buddy?”. As I stood up and turned around there were Daniel Hanscom and his wife Tara in the cab of their large pickup truck. In tow was their 37 foot RV which was, at present, providing the shade that offered me relief from the midday desert sun. “Huh?”, I asked, a little stunned at having been caught in my moment of frustrated indecision. “Yep… Us. Jump in. As long as you don’t mind sharing the back seat with Heather…”. And with that he hopped out, came over and shook my hand. “Well Jack, hop in we’ll get rolling.” and with that he threw both tires into the back of the pickup and jumped back into the driver’s seat. 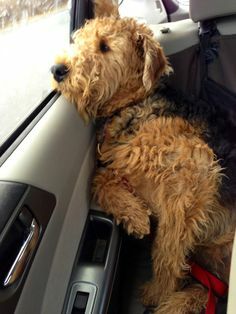 I opened up the back door and as I started to climb in there was Heather… A twenty two pound Welsh Terrier who lay curled up in a little furry ball on the back seat. She got up, stretched and wagged her tail at the sight of a new face. I climbed in and she curled up next to my leg to resume her afternoon nap. And so began our interview, though I didn’t even know it at the time. The air-conditioning of the truck’s cab was such a relief. “I hope I’m not keeping you from anything?”, I said as we drove down the road. Daniel caught my eye in the rearview mirror and said, matter of fact, “What’s the point of having freedom with your time if you can’t help somebody out?”. “Yeah, but still…” I said meekly. There was something about the conversation that seemed different. Something that caused my instinct as a journalist to wake up. Whatever it was, whether it was the quizzical nature of his answers or the fated means through which we met, I started to be a little more curious with my questions and take notice of the replies. “Well, Jack, the reason I stopped is because I’m selfish.” With that, he started to laugh. Tara chuckled a little bit as though at a joke she had heard many times before. I sat there more confused by his response than anything but I chuckled anyway in an effort to be polite. “Depending on how you look at it… Or like ’cause and effect’ or like ‘what you sow you will also reap’. There are lots of ways to describe the principle but essentially as we give more we get more. Take care of others and you’ll be taken care of plenty.”, Daniel said. “Does it actually work?”, I asked. The water was cool and refreshing on my throat. I was indeed parched from my work outside in the desert heat but my dry mouth had been far from my mind. Feeling renewed I decided to ask the question that had been on my mind since before I even got into the truck. Daniel got a smile on his face as though I had just asked him to talk about his favorite subject. He collected his thoughts for a moment and then posed a question. “What do you know about the subconscious mind?” he asked. “What?”, I replied, instantly curious. “Yeah, but I make decisions, right?”, I defended, not quite ready to accept this new notion. “Yes, you do. We all do. But what we get to decide is what gets into the subby… Once the subby is programmed it’s the elephant that takes over. Think of it like an autopilot on a jet. The pilot programs the autopilot which then takes over. Wherever you tell that autopilot to take you is where you end up. That’s the beauty, and the tragedy, of the whole thing.” he finished as he took a drink of water. “What tragedy?” I asked. By this point I was feeling a little awkward as I was leaning forward hunched over the seat between Daniel and Tara. Heather shifted around a bit to get comfortable again as I leaned forward to hear the answer to this curious line of reasoning. “What, like reprogramming a computer?”, I asked. “So how do you reprogram the ‘subby’ as you call it?” I asked. I had to admit that I could feel a sense of possibility welling up inside of me. “You can’t just leave me hanging like that… Come on. You’ve gotta share. How do I program my subby? How can I get what I want?”. The words just sort of burst out of me… like a kid begging for a second helping of ice cream. I caught myself and leaned back, a little bit embarrassed. “She’s not lying.”, Daniel replied as he laughed. 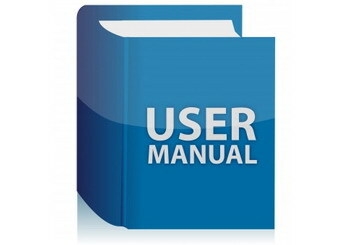 “You want to know how to reprogram the subby? How to get what you want. Well, the first step is to figure out exactly what it is that you want in the first place! You see… most of us spend huge amounts of time and effort and energy chasing after stuff that wasn’t even our idea in the first place. These ideas have been handed to us about what’s good or what’s normal and we accept them without question because it all starts so early in life. Then we get a healthy dose of ‘reality’ splashed in our face with some ‘failure’ for good measure. Before long, we forget what we’re capable of and we forget how to dream. The first step is to ask youself, ‘what do you want’. How about it, Jack? What do you want? I didn’t know… Like, honestly… I had no idea how to answer that question. Logically, though, I knew that without the answer how could I ever get the object of my desire. How could I hit a target if I didn’t even know where the target was. Suddenly I felt like so many of the choices I had made were indeed done at the whim of an autopilot that had been carelessly programmed. How could I not know the answer to such a simple, but crucial, question? Suddenly I became all too aware of my surroundings and we were pulling into a small town. Old fashioned buildings coated in a layer of dusty sand lined both sides of the street and just ahead was an old style garage with a set of museum-worthy gas pumps and an open bay door. Daniel pulled in and hopped out to speak to the mechanic before I could say anything. My head was buzzing with so many new ideas. As Daniel pulled the tires out of the back of the truck and the mechanic rolled them into the bay for repair I felt like a window was closing… Like I had one more question to ask and so I had better make it count. I wasn’t really focused on what he was saying. I was too busy trying to figure out my next question. Apparently my window wasn’t closing but was opening and my interview would have another chapter. I tried to hide my smile. I don’t think I did a very good job of it. Thanks for commenting, Don. So glad you enjoyed it. I wish you & Tara all the best! Thank you, Yvette. So glad that you enjoyed it. The second part is already written… Just thought it was getting a little long so wanted to break it up a bit. Be sure to check it out… I think you’ll really like the ending. Daniel Ross Again! Laughing and crying AGAIN!!!! You my friend are brilliant! More links for me! You have a wonderful imagination and I was there! I now know why we are supposed to be following each other! I have been behind in my requirements and haven’t written my press release yet and am NOW catching up. Wanted to read others press release to get a feel for the whole thing,and knew i needed to change my blog roll first, Part of me, you know who i mean, was dreading just doing that! But this hero guy stepped in and said go listen to IZANNA again you have enough brain cells to do that don’t you? So I DID IT!!!! And then I met YOU and Tara! I CAN BE WHAT I WILL TO BE! DUDE! I POSTED IT! What you say, and the way you say things is awesome! I live in San Diego so we are physically far apart, but It doesn’t feel far! I believe we are smack dab in the middle of the right place at the right time, Totally historic already! I’m looking forward to meeting you in person! Completely awesome, but I want to know where you and Tara are Going… I believe you can teach the Laws of mind… write book… Doing kindness before we obverse them… You rock! That is so kind of you to say, Wes! I appreciate the encouragement very much! I have written part II for the interview but haven’t ‘put it out there yet’. A few things aren’t quite ready to go public yet… Can’t wait to share the rest of the story with you. I think you’ll like how it ends for Jack… of should I say how it begins.